1811, Boston Massachusetts, USA, home to the Salem Witch Trials two centuries earlier. Little Lydia Montrose is caught up in what is described as a ‘fight’ with a local boy, but the rumours never die down of what really happened that day. 1821, with the rumours still doing the rounds and Lydia now becoming a woman, the family move from the city to a small town and into Willow Hall. The house has stood empty for many years and even the owner, John Barrett won’t live there, preferring a smaller dwelling down the road. There is talk in the town that the place is home for ghosts, but surely ghosts aren’t real? The Witch of Willow Hall is a fictional historical paranormal story with the most amazing cast of characters. The Montrose family, consisting of Father, Mother and three daughter, Catherine, Lydia and Emeline, who move into Willow Hall after a turbulent time at their old home, due to the incident with Lydia some ten-years before. The tale is told from Lydia Montrose’s point of view. Lydia is a plain young girl, she is also a witch, she just doesn’t know it. She understands that certain things happened depending on her moods, but she doesn’t know why or how, though there are stories that they are the descendants from one of the Witches hung at Salem. Catherine is older than Lydia and much prettier too. She is used to men falling at her feet and so deems every man to be in love with her. She is exceptionally shallow and naive and very, very selfish. She detests Lydia and tries to do everything in her power to make her sister miserable. She is also harbouring a dangerous secret, one that could tear her family apart. Emeline is just a little girl, full of curiosity. She gets in the way a lot and wants to be like her big sisters. Lydia is her idol and they dote on one another. The plot builds slowly as we get to know and understand the Montrose family, mainly the girls and witness overtime as strange occurrences happen to Lydia that she can’t explain and no-one else notices. There is a very upsetting scene within the book, one I’m not going to talk about. All I will say is that had I know it was coming I wouldn’t have read it sat on a sun lounger around the pool – Luckily I had my sunglasses on!! The Witch of Willow Hall is a real treat if you love paranormal books or historical fiction. The casting is vivid, the setting beautiful, and the pace just right. I was amazed to discover that it was written by a debut novelist as it really is superb. I was hooked from the very beginning and stayed that way throughout. It is wonderfully enjoyable and the story lingers long after you close that final page. 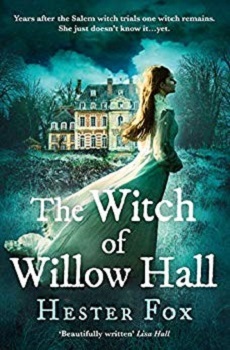 Giveaway – Prize is 3 x paperback copies of ‘The Witch of Willow Hall’ by Hester Fox. Open to UK residents only. Good Luck. I am not a lover of historical fiction, but I would definitely read this! Great review. Great, it is a wonderful book. Thank you. I’ve not read that one. Fingers are crossed for you. I enjoy historical fiction but normally do not read paranormal, but your review has me rethinking that. I may need to check this one out! It is a great book, not too spooky either. Oh man, This is the kind of history that I LOVE. I definitely will be reading this. The Little Stranger by Sarah Waters is one of my favourite paranormal books. And this one sounds pretty scary too! I’ve never read anything by Sarah Waters but heard many good things about them. I hope you have entered the giveaway then!! The book is great. This is definitely something I would love. Great. I hope you get to read it sometime. Wonderful review! I absolutely adored this one as well! Thank you. Glad to hear you liked it too. Sounds like a perfect book for Halloween! Great review! I don’t read a lot of historical fiction but this one sounds good. It is a great book. I’m not massively into historical fiction but this one works well. The cover makes it look very intriguing! Great review! The cover is gorgeous. Thanks. It’s a lovely book. I agree one to check out. 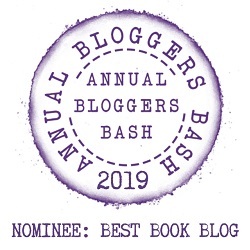 Great review Stacey, now I am really intrigued and very curious about this book after reading your review and this book is also a new to me as well. Thank you so much for sharing your awesome post and for putting this book on my radar. Sarah by Teri Polenta, a story about a vengeful ghost. I’ll have to look out for that book. I like vengeful ghost stories.